Columbia Records and Legacy Recordings, the catalog division of Sony Music Entertainment, will release Bob Dylan’s The Cutting Edge 1965-1966: The Bootleg Series Vol. 12 on Friday, November 6, 2015. Importantly, The Cutting Edge 1965-1966: The Bootleg Series Vol. 12 provides a rare exploration into Dylan’s creative process in the studio, allowing fans to experience another side of Bob Dylan through the evolution of his songs and recordings from this truly groundbreaking period. The Cutting Edge 1965-1966: The Bootleg Series Vol. 12 – Deluxe Edition brings together for the first time many of the most sought-after recordings of the entire Dylan canon. Here, across 6 CDs, are previously unheard Dylan songs, studio outtakes, rehearsal tracks, alternate working versions of familiar hits–including the complete “Like A Rolling Stone” session–and more. The Best of The Cutting Edge 1965-1966: The Bootleg Series Vol.12 is available in a 2CD or 3 12″ vinyl LP set and brings together some of the musical high points of the deluxe and super-deluxe collections. 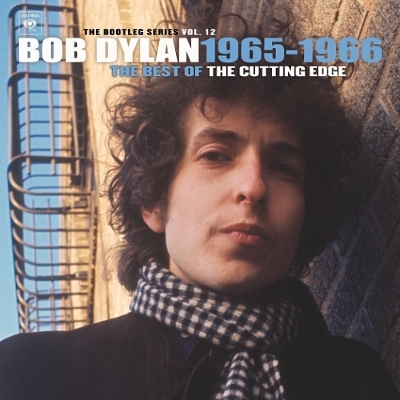 The Cutting Edge 1965-1966: The Bootleg Series Vol. 12 comes with an annotated book featuring hundreds of rare and never-before-seen photographs and memorabilia and new essays penned especially for the collection by Bill Flanagan and Sean Wilentz. Generally regarded as three of the most important and influential albums of the golden era of 60’s rock, Bringing It All Back Home,Highway 61 Revisited and Blonde On Blonde (a double album) were written and recorded across a span of merely 14 months (fromJanuary 1965 through March 1966) with producers Tom Wilson (Bringing It All Back Home, “Like A Rolling Stone”) in New York andBob Johnston in New York (Highway 61 Revisited) and Nashville (Blonde On Blonde). All tracks previously unreleased except Disc 1, track 2, Biograph; Disc 1, track 8, The Bootleg Series, Volume 1-3.